This month, our journey through classic Doctor Who reaches a culmination point, as we drop in on the original series’ excellent final creative push, with the run of Sylvester McCoy’s wonderful Seventh Doctor and his delightfully loony antepenultimate story “Ghost Light.” One of the strangest, densest, and most compelling Doctor Who stories ever told, “Ghost Light” sees every member of the creative staff going down swinging in the last season of the original run, particularly showcasing McCoy’s very unique take on the character and Sophie Aldred’s all-time great companion Ace. This is an overlooked classic, and a great way to complete our 8-month-long journey through the show’s original 26-year run. 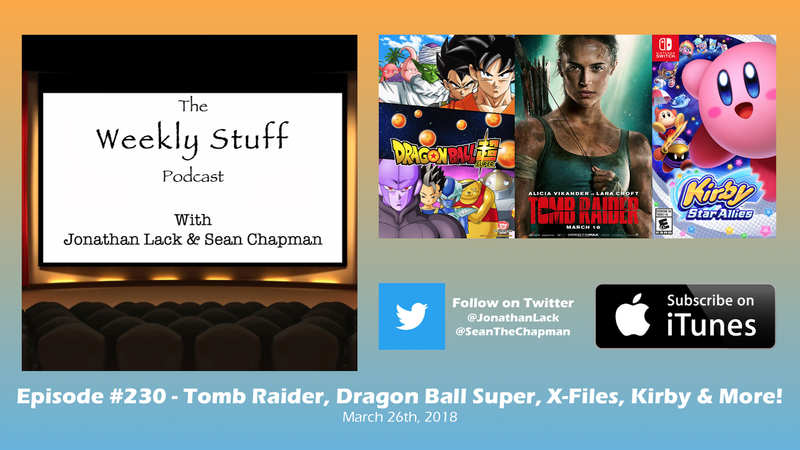 The Weekly Stuff Podcast #230 – Tomb Raider, Dragon Ball Super, X-Files, Kirby, Detective Pikachu & more! It’s a loose, fun, freewheelin’ grab-bag style episode on the show this week, as we talk about a whole host of recent movies, games, and TV shows. Jonathan reviews Ava DuVernay’s very good (and very undervalued) A Wrinkle in Time and the mostly disappointing Tomb Raider adaptation, which leads to a great discussion about the 25-year-history of video game adaptations failing spectacularly in Hollywood. Sean reviews the new season of The X-Files after its recent finale and talks about the outstanding final run of Dragon Ball Super. And finally, we review several recent video games, including Sean’s thoughts on Burnout Paradise Remastered and Jonathan’s first impressions of Detective Pikachu and overall thoughts on Kirby Star Allies. 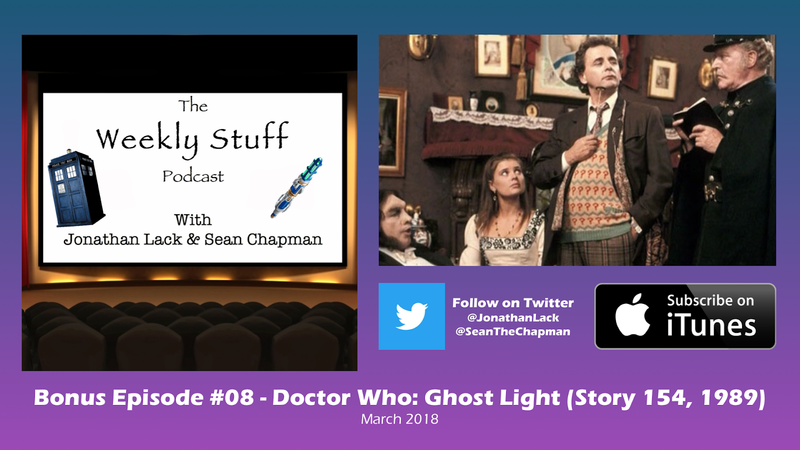 It’s a jam-packed episode full of fun topics that was a blast to record, and we think you’ll feel the same. 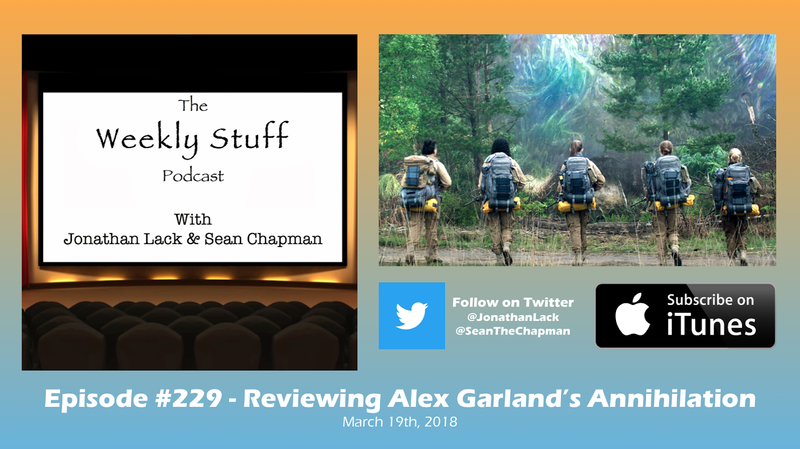 It’s a grab-bag style episode this week, as offer topics ranging from serious and topical to silly and only tangentially topical. 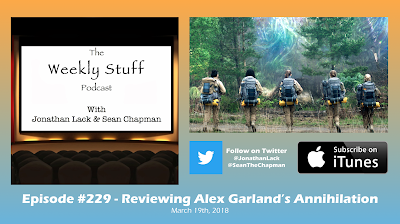 Sean and Jonathan both talk about great recent indie games, including Into the Breach and Celeste, recap the Oscars and this week’s Nintendo Direct news, and cover some various odds and ends. We then have a serious talk about the absurdity of ‘violence in video games’ still being blamed for school shootings some 20 years after Columbine, in reaction to the nonsensical White House meeting this week, and what a gross function this rhetoric serves in distracting from real solutions. 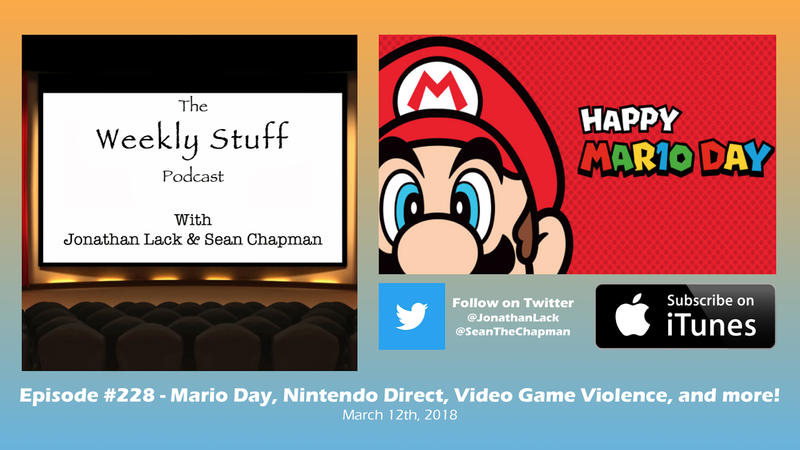 And finally, in honor of March 10 – “Mar10 Day,” or “Mario Day,” as Nintendo has coined (pun intended) – Jonathan ranks, on the fly, every single Super Mario Bros game in one of our sillier and less substantive recent segments.